It is Friday so it is Two Book Friday time! First we have a World of Reading book Meet Ant-Man and the Wasp. This book is super cool with stickers of other Marvel characters and a fun story. 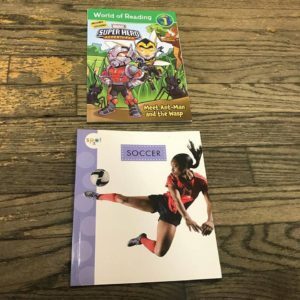 Also this week we have Soccer, an easy to follow book that explains the game with lots of fun pictures as well.